In the alternate reality of Shatterforce, select elites possess astonishing mental powers and sinister blocs wield super-technology. When an impossible weapon threatens to engulf the planet, a tenuous peace among nation-states begins to unravel, conspiracies thrive, and a suspected anarchist may be the world’s only hope. 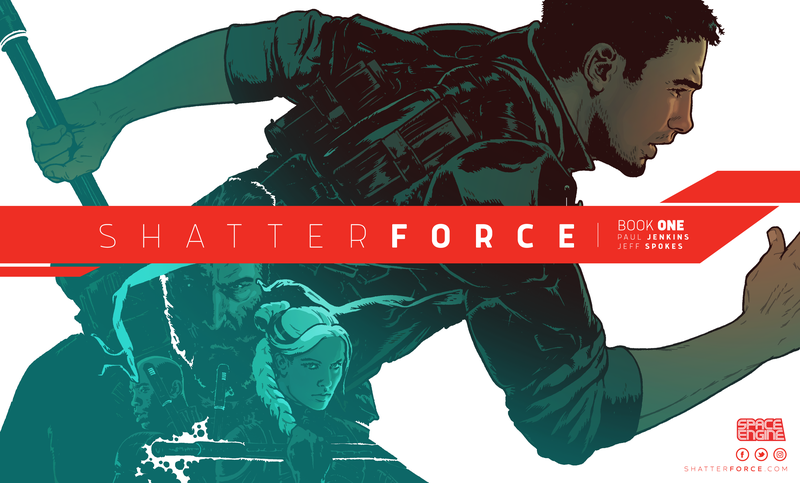 Shatterforce is an original science-fiction/fantasy project and geopolitical thriller that will include a comic series written by prominent creator Paul Jenkins (Hellblazer, Wolverine: Origin, The Incredible Hulk, The Spectacular Spider‐Man, The Darkness), a CG‐animation VR series, and feature film.